Get perfect Answer here on, How to Setup Apple Watch with Multiple iPhones. May be if, you’ve more than one Apple iPhone and single Apple Watch. You would like to use/setup your Apple Watch with multiple iPhones. It’s a General question for all right. Generally, there is no feature available to sync, use or setup Apple Watch with multiple iPhones. However, if you want to do it, then you should need Un-pair your Apple Watch and again pair Apple Watch with another Apple iPhone. 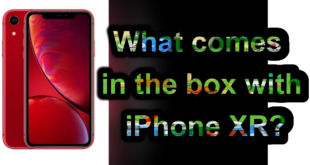 Many users would like to asks, they have two iPhone and want to access their Activity and workout app with both iPhone simultaneously so, yet it’s not possible. You must be need first un-pair your Apple Watch from a Paired iPhone and then again Pair with another iPhone. I would recommend tips at below – setup for Unpair Apple Watch and iPhone and how to pair again. Note – if you Unpair Apple Watch, then device will create a backup. But, it will erase all content and Settings on Apple Watch. You’ll get likely factory settings Apple Watch. Learn here, how to Unpair Apple Watch from Paired Apple iPhone. In future, there are some cases will occur during that period you might need to unpair your Apple Watch & iPhone. Step 1. Keep your iPhone and Apple Watch close together. Step 4. In last, tap Unpair Apple Watch. You’ll see pop-up to make confirm unpair Apple Watch, Tap again to confirm. Your iPhone will take a backup, so you can use the backup to restore a new apple Watch. 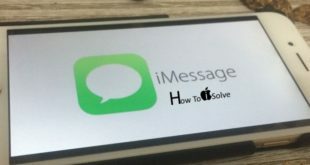 If, you’ve no iPhone and you want erase all content and settings on Apple Watch, then use this tip – how to reset or erase Apple Watch without iPhone. Step 5. After the Unpair, you’ll see the Start Paring message. Since, you can use these steps to setup Apple Watch Pair again. Keep feel free to ask us if any query. Write you feedback in our comment box on how seems this tip on how to use or Setup Apple Watch with Multiple iPhones.